Many people suffer from chronic breathing illnesses such as asthma and allergies. The unknown culprit of these annoying maladies can be “biological contaminants” in your home. Allergy treatments for your mattresses, upholstery, and carpeting can help to diminish allergy symptoms. Biological contaminants include bacteria, molds, mildew, viruses, animal dander and cat saliva, house dust mites, cockroaches, and pollen. There are many sources of these pollutants. The protein in the urine and feces from rats and mice is a potent allergen. When it dries, it can become airborne and drawn into the lungs. These contaminants can also land on your food, where you ultimately eat them! If you have problems with rodents in your home, we suggest calling a qualified pest control company. This fact makes it essential to have your ductwork professionally cleaned and treated with a germicide at least once every 2-3 years. Home allergy treatments will help to drastically reduce the quantity of allergens within your home. A relative humidity of 30-50 percent is generally recommended for homes. Standing water, water-damaged materials, or wet surfaces also serve as a breeding ground for molds, mildews, bacteria, and insects.House dust mites, the source of one of the most powerful biological allergens, grow in damp, warm environments. Some biological contaminants trigger allergic reactions, including hypersensitivity pneumonitis, allergic rhinitis, and some types of asthma. Infectious illnesses, such as influenza, measles, and chicken pox are transmitted through the air. Molds and mildews also release disease-causing toxins. Allergic reactions occur only after repeated exposure to a specific biological allergen. However, that reaction may occur immediately upon re-exposure or after multiple exposures over time. As a result, people who have noticed only mild allergic reactions, or no reactions at all, may suddenly find themselves very sensitive to particular allergens. Some diseases are associated with exposure to toxins from microorganisms that can grow in building ventilation systems. These diseases can also be traced to microorganisms that grow in home heating and cooling systems and humidifiers. Have your carpets, furniture, and mattresses cleaned thoroughly and regularly by a trained professional. 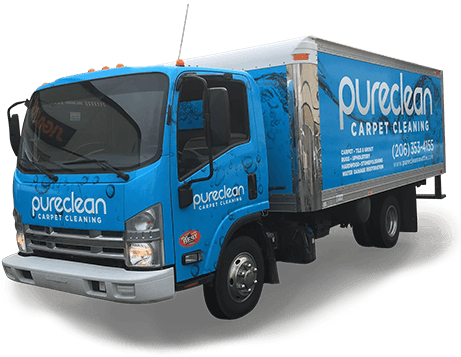 Pure Cleans home allergy treatment specialists go through months of training, learning how to properly clean all types of fabrics, carpet, rugs, furniture, and hard surfaces to ensure the healthiest, deepest results for our clients. 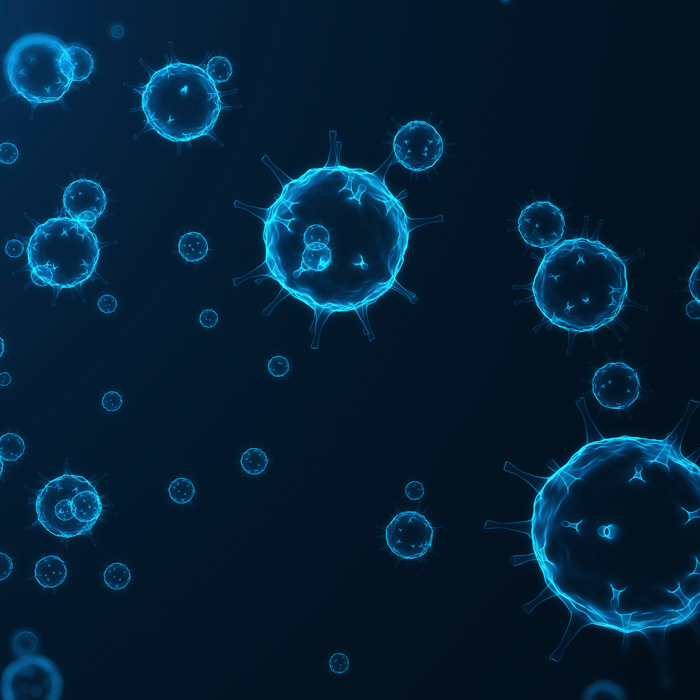 Pure Clean recommends frequent light duty cleaning to minimize the effects of biological contamination, along with regular deep cleans several times over the course of the year. Pure Clean utilizes proprietary cleaning products that are chemical-free, organic and safe for pets and children. Our products contain no soaps or detergents that eliminate unhealthy soil from occurring in your home. By choosing to put your home or business on a frequent regular cleaning schedule, you’ll get enhanced appearance value, extended life from your furnishings, and significantly improved indoor air quality (resulting in better overall health at home or work). Install and use exhaust fans that are vented to the outdoors in kitchens and bathrooms, and vent clothes dryers outdoors. By installing exhaust fans into the kitchen and bathrooms, you can diminish the amount of moisture build-up within your home. High humidity and moisture can lead to mildew and mold growth. These release harmful allergens into your air, where you inhale them. If the mold growth isn’t immediately visible, such as on a ceiling or along the bottom of a wall, it may continue to grow unchecked and lead to severe damage. For instance, mold growth or wood rot can occur within the wall cavities between floors or in walls. Don’t forget your dryers, either! These should always be vented to the outdoors, and checked occasionally for blockages. More areas of your home that require proper ventilation are your attic and crawl space. These infrequently visited areas are more likely to be neglected when it comes to proper insulation and venting. The result, unfortunately, is often mold, mildew, or a pest invasion. If you have found that you’ve got pests or mold in either of these areas, it is wise to contact a professional pest control or mold control company to handle the issue, following up with a thorough home allergy treatment to help remove the released pollutants from having built up in the carpeting, upholstery, and dust of your home. If you have a home humidifier or cool mist unit, it is important that you clean these appliances according to the manufacturer’s instructions. If not tended to, mold and mildew can grow in the water container and tubes inside the machine. The contaminants released from the mildew are then pumped directly into your home air. WATER DAMAGE: BEWARE! Thoroughly clean and dry water-damaged carpets and building materials. COMMIT TO A REGULAR SCHEDULE OF ONGOING CLEANING. House dust mites, pollens, animal dander, and other allergy-causing agents can be reduced, although not eliminated, through regular cleaning. Regular household cleaning can help to diminish, though not remove, the build-up of pollutants within your home. House dust mites, pollen, pet dander, and other allergy-causing contaminants build up in the dust that settles on your furniture and in your carpet. Regular cleaning can reduce that build-up. However, for homes with family members that suffer from allergies, this often won’t be enough to combat the allergens in the air. In such cases, we recommend our home allergy treatments to remove those additional allergens to keep your family breathing clean, healthy, air without worry of contamination. Take steps to minimize biological pollutants in your home. At Pure Clean, our allergy treatment team can help you determine which areas of the home are creating your biggest allergy trigger. Our experienced crew members will work with you to assess carpeting (a most common culprit), upholstery, furniture, your walls, crawl space, and basement for signs of pollutants. We will then, not only provide our home allergy treatment services for you, but also give you tips on how to minimize pollutants within your home. In some cases, we may recommend contacting a pest control company to remove pests from your basement or attic. If we find water-damage, we may recommend a deep clean or replacement of the affected areas. We may also recommend changing brands on cleaning products. Whatever we recommend, we always take the time to tailor our recommendations to each client — no one ever receives packaged advice from our team!